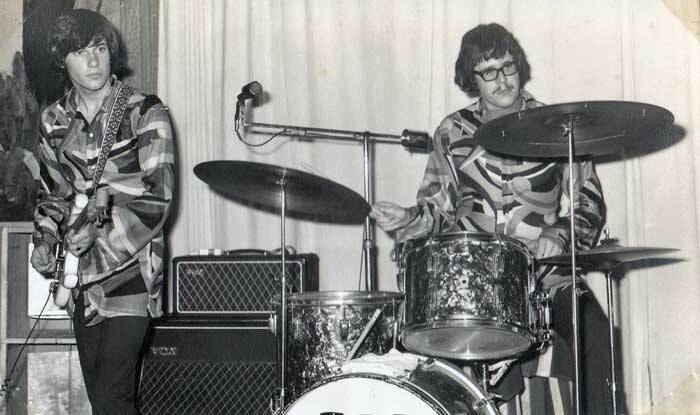 As the summer of 1965 gently meandered into 1966, part time musician and budding entrepreneur Ken Cooper undertook his biggest project to date when he decided to start his own club, The Place, in Willis St, central Wellington. Ken had been successfully running weekly teen dances at The Teenarama in St Francis Hall, near Parliament. Helping him to convert the former Post Office building into his vision was Dave Brown, an experienced musician and apprentice builder/ joiner who had just completed his nine-month compulsory military training. Dave formed his first band, The Vampires, while still at school at Wellington Boys College. He formed another group called The Wanderers, which he disbanded when his papers for compulsory military training came through. 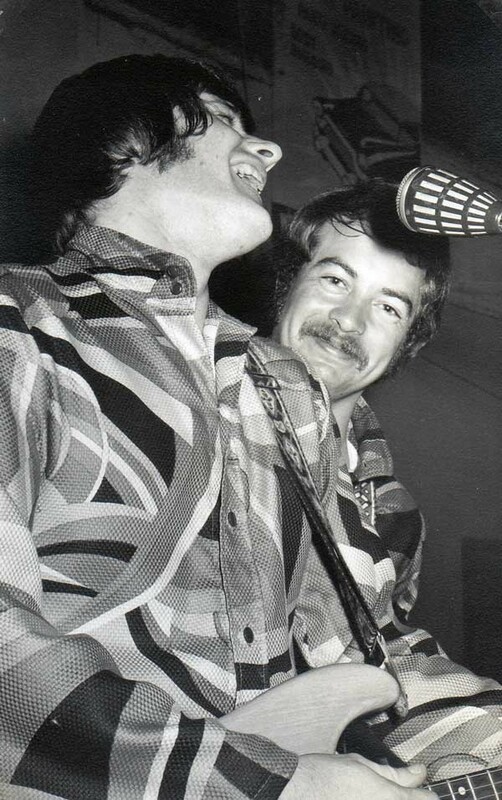 Ken and Dave’s first recruit was Clive Cockburn, whose group The Mustangs had been a popular local band for nearly two years and had just recently broken up. 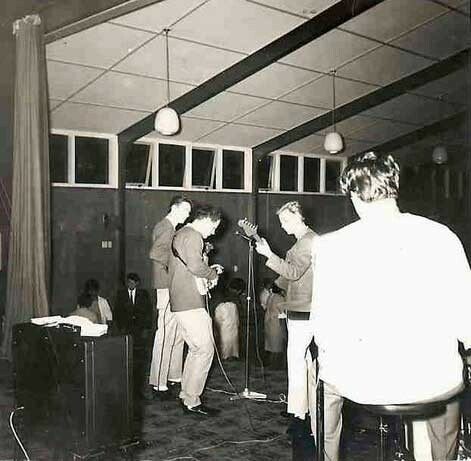 During October 1963, The Mustangs, all sixth form students from Rongotai College, progressed to the semi-finals of the television talent quest Have A Shot. The hunt for a suitable bass player proved a hard task. Twenty-seven bassists were auditioned before Eddie McDonald was picked. Eddie fitted the main criteria of being a good bassist, he was well groomed and he could harmonise. 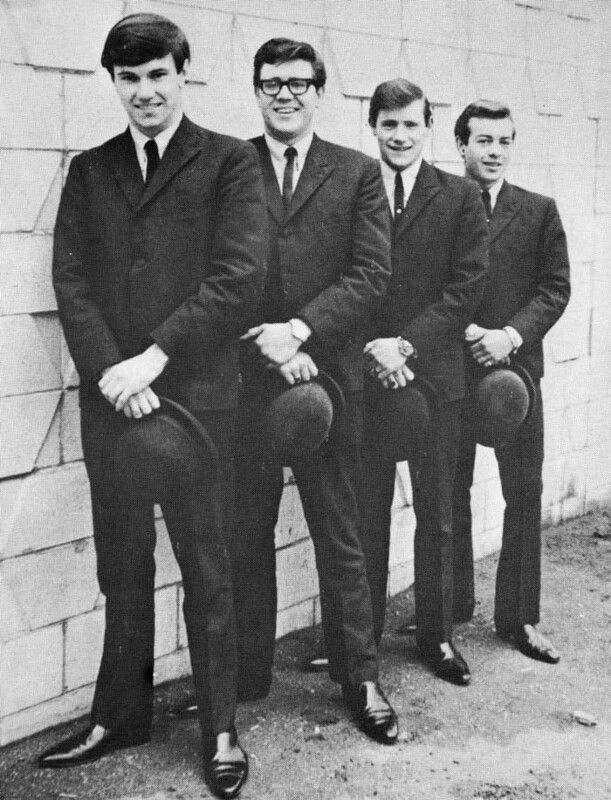 Eddie had spent most of 1965 looking for a suitable new group after his previous group, The Strangers, had broken up. Dave Diver, ex The Librettos, was originally chosen as the drummer but he eventually turned the role down. The next step was to come up with a suitable name. This task was delegated to music journalist Barry Duncan via his weekly column in the Sunday News where readers were invited to send in their suggestions. Several thousand entries were received and after three days of sorting, Marilyn Tronsen and Dalvanius Prime were declared the joint winners with their suggestion of The Avengers. It was such a good name for a pop group that most countries in the world had their own Avengers, with six different recording entities in the USA alone. The Avengers was a good name and topical, the new series of the television show had just started its fourth season, the first with Diana Rigg as Emma Peel. It was such a good name for a pop group that most countries in the world had their own Avengers, with six different recording entities in the USA alone. Plus they weren’t even the first in their own country. 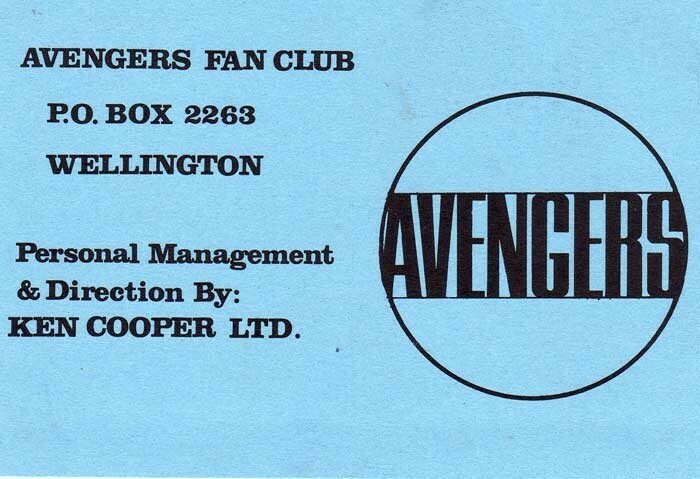 That distinction belongs to Billy Belton’s Auckland group The Avengers, who would later rename themselves Ray Woolf & The Avengers, and when Ray left in early 1968 renamed themselves again as The Original Avengers just to prove a point. Whether by default or design Ken had managed to assemble a well-balanced quartet of musicians. Certainly the individual members were boy-next-door types with a strong collective work ethic, focus and definitely not the sort of group that would go around smashing hotel rooms, not that they would ever get much of a chance as they usually stayed with friends and family. Dave and Eddie were both very self-disciplined and organised; Clive was the quiet artistic one who was keen to develop his songwriting while Hank was a happy-go-lucky self-confessed Goon fan whose sense of humour and music ability would be essential for the long road ahead. The group was to be paid $30 each per week regardless of gigs. By their own admission, they enjoyed basking in the limelight and immediately set about moulding themselves into a musical partnership. Hank was the only member not living at home and his flat at 65 Sefton Rd in the Wellington suburb of Wadestown, a large old villa that nestled on the slope and overlooked the valley below, became the group’s HQ for the next four weeks as they rehearsed virtually every Top 20 song from the previous two years. 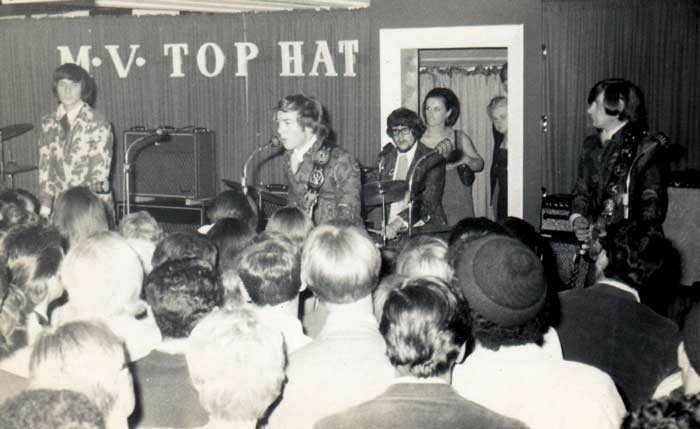 To test the waters, they made their first public appearance at the Student Union Building on 27 May 1966 before starting at The Place the following week, while also playing acoustically at a local coffee lounge on Sunday nights. 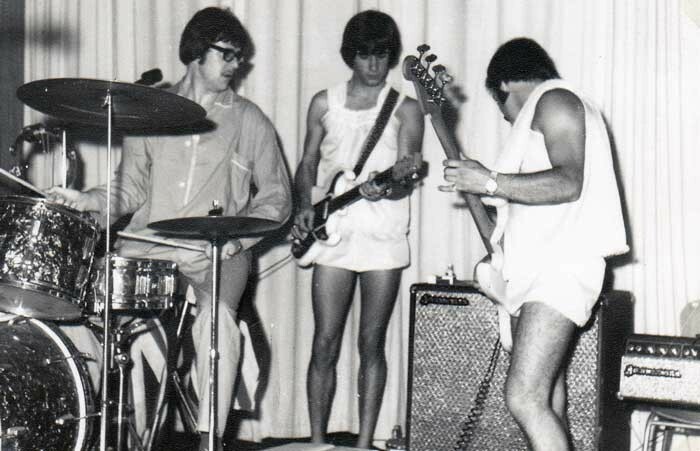 The Avengers quickly became the talk of the town and were soon playing the outer suburbs and other centres in the lower North Island, culminating in December 1966 when the group were paid the sum of £1220 ($2,400 in 1967 terms) for a two-week residency at the Nelson YMCA from 25 December through to 7 January along with Ken’s other group, Sounds Unlimited. Nelson is a popular holiday destination over the Christmas holiday break and the group played in front of up to 800 holidaying teenagers every night. The Nelson holiday period was the subject of a featured story in the following month’s Playdate magazine under the title “Nelson Switches It On”. The article was a warts-and-all account of problem teenagers, overcrowding and drag races down the main street while succinctly capturing the holiday mood of a typical New Zealand summer holiday period. It showed photos of The Avengers frolicking on the beach and made special mention of the group as “professional, clean cut and sharp”. 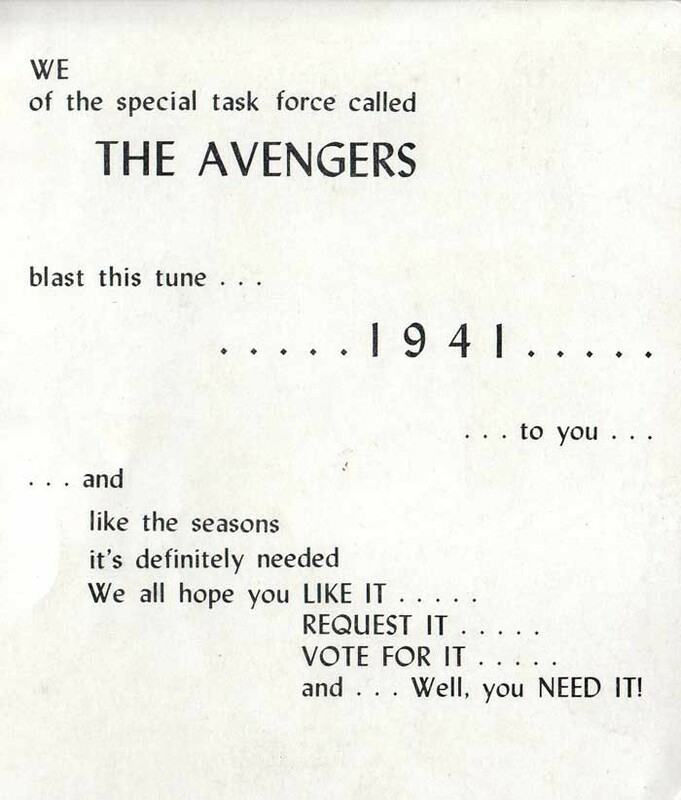 Towards the end of the season the group’s vocal prowess was called upon when Dave lost his voice, which would have been disastrous for most groups but not the vocal laden Avengers. Early in the New Year as Dave got his voice back, he and Sounds Unlimited member Bernie Findlay were called up for a three-week refresher course as a follow-up to their previous compulsory military training. 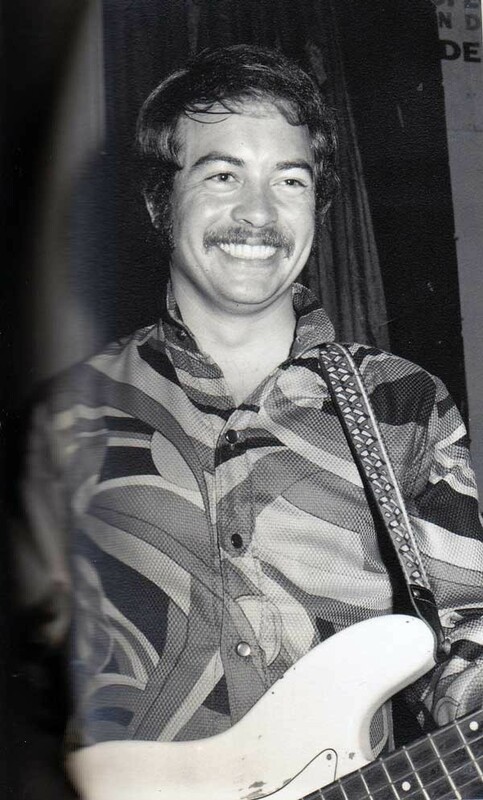 Hank and Eddie took a break while Clive was drafted into Sounds Unlimited to fill in for Bernie for the duration, which included a trip to Auckland to appear on one of the first episodes of TV show C’mon. 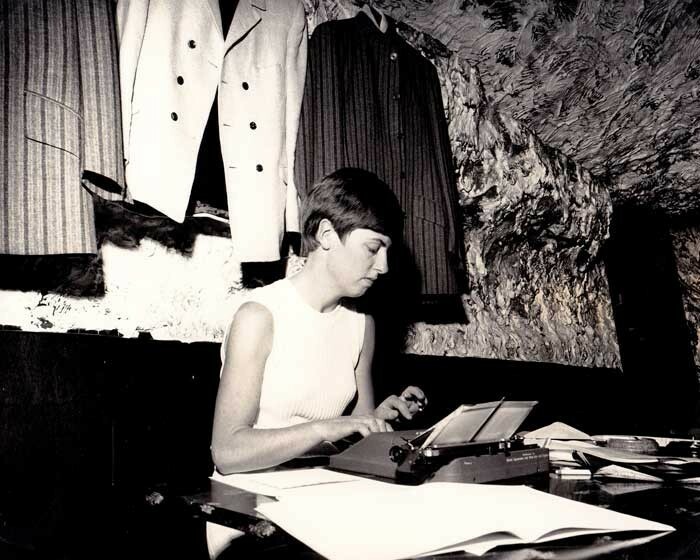 The group already boasted an energetic fan club run by Christine Stephens which boasted several hundred members at this early stage of their career and would go on to have over 1,000 well-organised members by the end of the year, much to the envy of many more established groups. As a very proactive club they become a major part of the group’s success when it came to filling in coupons for various polls and radio request shows, which all helped to lift the group’s profile. A recording contract with HMV was signed shortly afterwards and the group was placed under the supervision of producer and A&R man Nick Karavias. Nonetheless, a recording contract with HMV was signed shortly afterwards and the group was placed under the supervision of producer and A&R man Nick Karavias, who was also in charge of Ken’s other group, Sounds Unlimited. The Avengers proved to be a challenge for Nick as he struggled to find the right material for the all-important debut single. They had a unique sound and suitable material was needed to reflect their uniqueness. The group wasn’t overly impressed with the material submitted by Nick, who was also frustrated at the complete lack of local material. 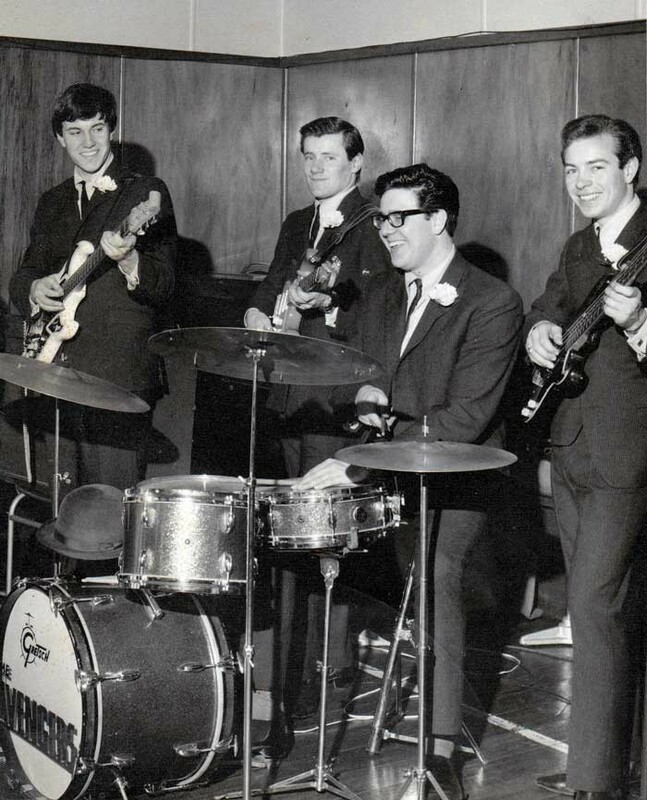 Nick took great pride in being able to match the right song to the right record, a skill that stretched back to 1963 when he suggested that The Convairs record ‘Little Boxes’, which went on to become a big local hit record. Nick and the group’s luck changed one evening when Nick stumbled across Chris Malcolm, a New Zealand born, American raised singing troubadour. 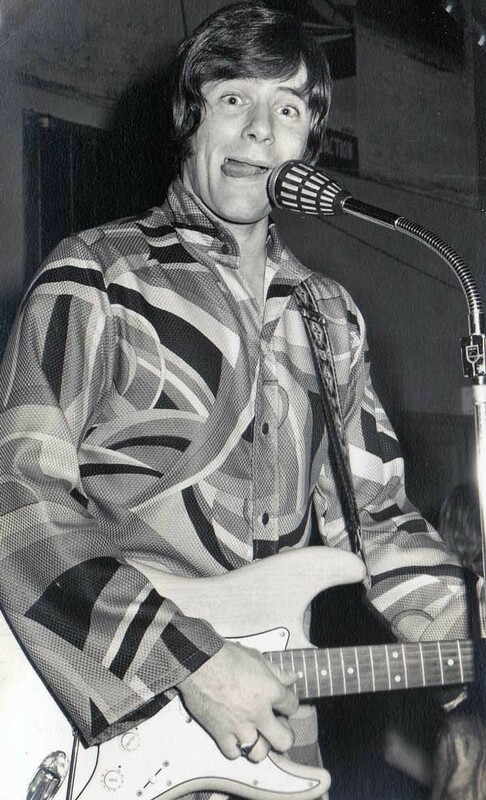 Arriving in Wellington in mid-1967, Malcolm soon built up a reputation by playing at various coffee lounges around town, usually for tips. ‘Everyone’s Gonna Wonder’, as it was later named, was recorded as The Avengers’ debut single with Malcolm’s Autoharp playing featured on the record – including the distinctive opening chords. The lead and harmony vocals were recorded across four tracks and doubled up to eight to give the song a full lush vocal sound. ‘Everyone’s Gonna Wonder’ b/w ‘Take My Hand’ made an immediate impact on the local scene and debuted on the national Top 20 (The Listener's NZ Hit Parade) on 14 September 1967 before peaking at No.7 and just as importantly, staying in the chart for an impressive 11 weeks. It was no mean feat as September and October 1967 were two of the biggest months in the history of popular music for both the quantity and quality of the music released worldwide. Critics and fans alike were unanimous in their praise for the song and its production. 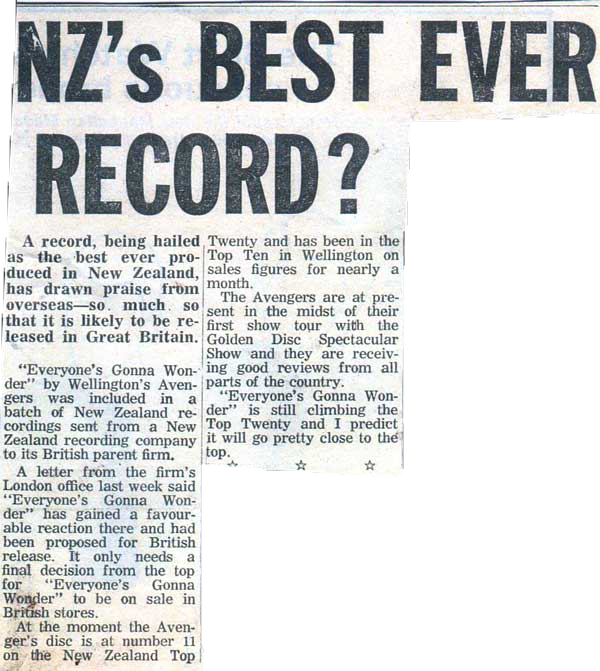 “NZ’s Best Ever Record?” was the headline in the Sunday News and they weren’t the only ones. The production values and quality of writing and performance led to the first serious discussions of a quota system on radio to support the local industry. It’s a debate that took several decades to evolve, but the first serious discussion seems to have started with ‘Everyone’s Gonna Wonder’. 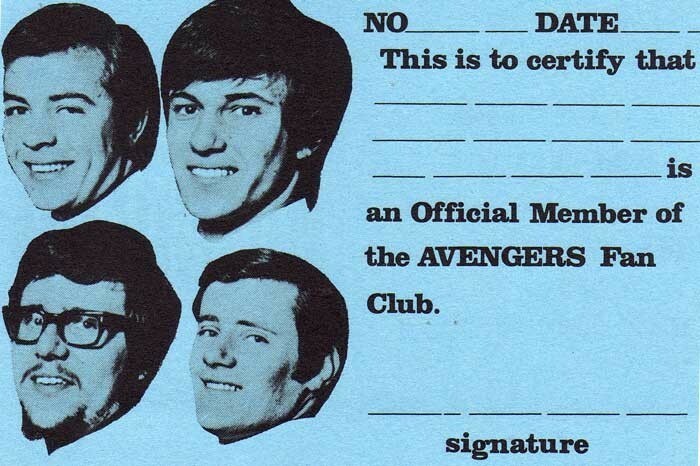 Enter the third piece of The Avenger jigsaw puzzle: Rick Shorter, who on behalf of MGM Records in the USA approached Ken and the group with a production and recording deal in the States. Unfortunately the deal was reliant on the group getting themselves to the USA. In 1967 airfares were a prohibitive cost and close to the same price as they are today, nearly 50 years later. Rick Shorter was a singer-songwriter who started his musical career as one half of a folk duo in the early 60s, mainly performing at New York’s Greenwich Village. By 1966 he was writing, producing and arranging for MGM Records and its subsidiary, Verve Records. Rick had written The Blues Magoos’ first single and produced, arranged and written songs for The Paupers acclaimed 1967 debut album Magic People. 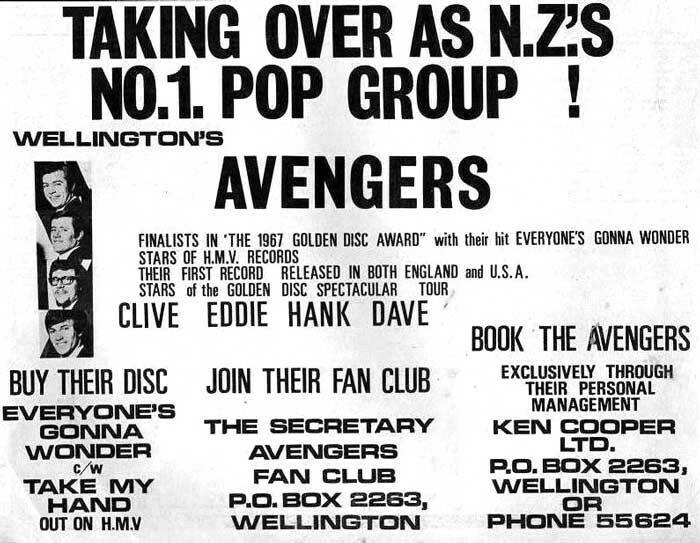 Ken Cooper and the group met with Graeme Feasy, then head of HMV’s NZ recording arm, to discuss this unique offer, which would have included an album and three singles to be released in the USA. The stumbling block was that the contract required the group to get themselves to America. When Ken asked for an advance on royalties to cover airfares Feasy seemed suddenly to lose interest. With the group still in their infancy it was a unanimous decision to turn the offer down, after all they had yet to fully establish themselves at home. Had The Avengers gone to the USA in early 1968, they would have found a very busy Rick. By April 1968 he was the musical director for the off Broadway production of Hair after having produced one of the show’s writers, Galt McDermott, in the mid 60s. Rick still managed to produce and write for several bands, including the avant-garde group Street, as well as forming his own short-lived label, the RCA-distributed Traffic. With Rick’s contacts, ‘Everyone’s Gonna Wonder’ b/w ‘Take My Hand’ was released in the USA on the Jubilee label towards the end of December 1967 (credited as a Rick Shorter Production). In addition to the UK and USA the record was also released in Australia, Ireland and Canada. With ‘Everyone’s Gonna Wonder’ firmly entrenched in the New Zealand Top 20, it was no surprise to see it chosen as a finalist in the Loxene Golden Disc Award for 1967. The Avengers were added to the bill for The Loxene Golden Disc Show, a nationwide tour that featured seven of the 10 finalists starting on 14 September and taking in 25 shows across 28 days. As well as their own spot, The Avengers were to provide the backing for Sandy Edmonds and Mr. Lee Grant while The Gremlins backed Ray Woolf to avoid confusion with his band (The Avengers) who were unable to appear on the tour. On 5 December 1967 The Avengers took a break from recording their debut album and were invited to HMV’s head office to accept a silver disc for sales of 10,000 copies of ‘Everyone’s Gonna Wonder’ along with Nick Karavias, Chris Malcolm and Keith Richardson. The playable silver disc was made from the master and photographs from the brief ceremony featured in most of the nation’s papers and entertainment publications. While the management of HMV were assembled in the same room Chris Malcolm took the opportunity to suggest that he should be retained as a salaried, full-time songwriter for HMV, after all he had written the bulk of the Avengers’ material so far. HMV rejected Chris's offer a few weeks later. Two weeks after their decision Chris left New Zealand and was working in Queensland as a songwriter for the newly established Ramrod record label. 1968 started with the group once again entertaining throngs of holidaying teenagers in Nelson along with Mr. Lee Grant, where they were greeted with the news that they had topped the readers’ poll in pop magazine Groove as best local group of 1967, beating Larry’s Rebels, The La De Da’s, The Gremlins and The Underdogs. On 18 January the group’s second single, ‘Only Once In My Life’ debuted on the national charts where it peaked at No.10. Written by Chris Malcolm, ‘Only Once In My Life’, although not as distinctive as ‘Everyone’s Gonna Wonder’, still has some very clever vocal and production techniques. Chris apparently wrote the song about his then New Zealand girlfriend, but by the time that the record had peaked, Malcolm was already in Australia. With the prime songwriter no longer part of their team it wouldn’t be until their last two singles that they would once again record original material for an A-side. The guys hardly had time to dwell on the consequences of losing Chris as they were in the process of finishing their debut album, in between dates on a busy touring schedule that saw them traversing the country in their trusty red VW Kombi van, an unassuming vehicle that blended into the landscape without attracting too much attention. The Kombi was certainly no screaming psychedelic traveling billboard advertising The Avengers – the only indication that it belonged to the top group in the country at the time was a business card on the front passenger window. In early 1968 the group revealed to their fan club members that on an average week they travelled for approximately 28 hours, rehearsed for 20 hours and spent seven hours on stage. Dave and Eddie were meticulous by nature and took great pride in loading and unloading their gear with every square inch accounted for, leaving enough room for someone to have a space amongst the gear – to attend to the fan letters. A colony of worker ants would have learnt a lot from watching The Avengers pull up to a gig and unload their gear with military precision. 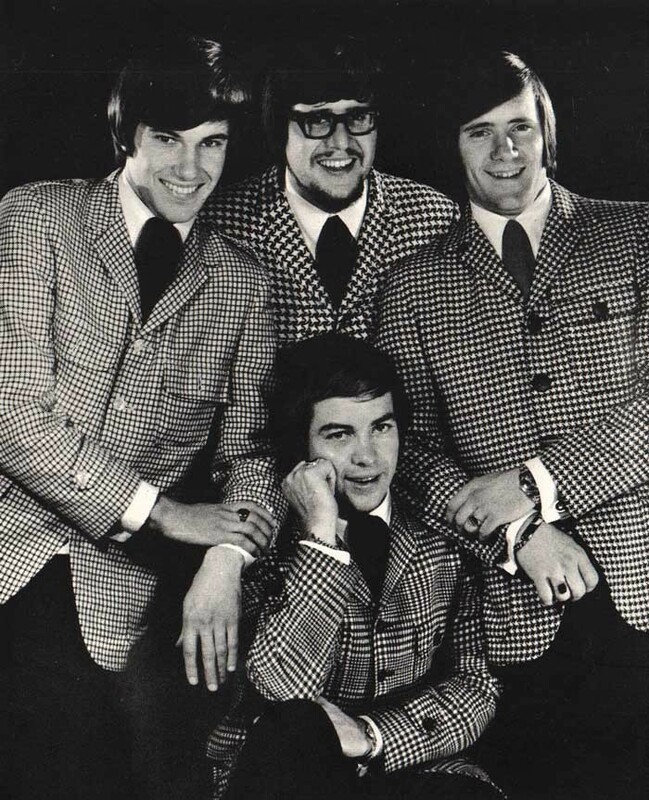 During this hectic touring schedule between mid-1967 and mid-1968 the group relied on family, friends and in some towns stayed with local newspaper reporters. In Auckland, Alan Galbraith provided the “hotel”. Hank had numerous relatives living in the lower and mid North Island, including his grandmother in Wairoa, while his parents lived in Napier, which helped with accommodation and meals. A fan club mailout - vote for this record! As a consequence of their hectic schedule and Chris Malcolm’s recent departure to Australia, there was no time to record their next single, let alone find something suitable, so they lifted two tracks from their newly finished but as yet not released album. The Harry Nilsson song ‘1941’ was subsequently released as the A-side in early April 1968. Chris Malcolm and the group collaborated on the B-side, ‘What Price Love’, which was based on J.S Bach’s ‘Air On A G String’. ‘1941’ debuted on the national Top 20 on May 9 1968 and peaked at No.6.